Two men on the same side of the law-with two different objectives. 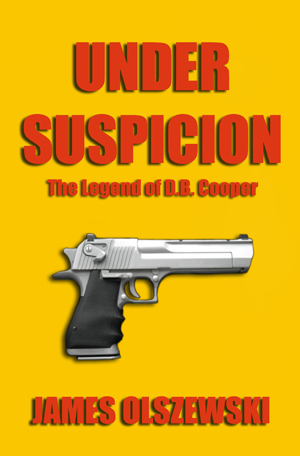 While investigating the same case, the situation turns deadly. Jim Harper has been sheriff of Lewis County for three decades. But when a drug investigation shatters the harmony of his county, he finds his community questioning his abilities. Alan Bradley is a hard driving special agent of the Drug Enforcement Agency. A tip leads Bradley to Lewis County where he suspects a drug dealer is hiding. The Phantom file is a mysterious case on the DEA dockets, and solving it would make Bradley a hero. Problems arise, which lead to mistakes and he finds himself unprepared. In order to preserve his credibility, he spin doctors the situation. He resurrects a ghost from Lewis County's past ―D.B. Cooper! The public's reaction to the story of this hijacker couldn't be predicted as everyone is caught up in its wake. They clash, but there can only be one winner, and it'll be at the expense of the other. Who will find that truth first?